It is cherry season in Aegean region. 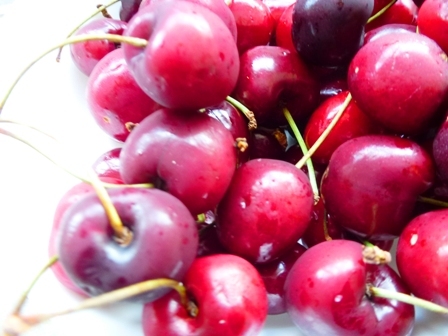 June is the peak season for harvesting cherries and the markets are full of beautiful plump cherries. 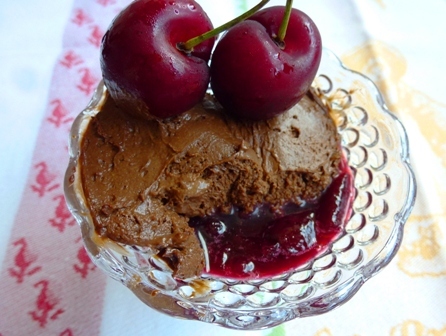 This is a simple cherry compote with chocolate mousse to enjoy! Wash the cherries. Stone them with a cherry pitter. While stoning, keep the juice into a pan. 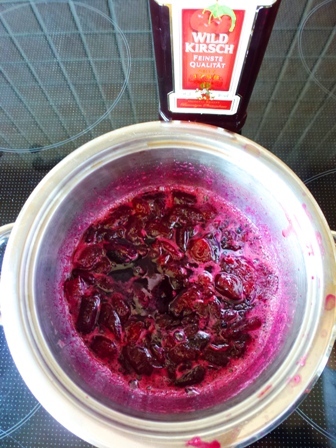 Put the cherry and its juice into a wide pan. Add sugar and black peppercorns. Bring to a boil, let stand for 10 minutes. Add Sherry (kirschwasser) and boil for another 5 minutes. Take out the peppercorns and let it cool. Melt the bittersweet chocolate with bain-marie method, or simply put water in a thick bottom pan. Inside this pan place another pan with the couverture chocolate. Beat egg whites in a small deep bowl and make stiff. Beat egg yolks with chocolate well. Fold the egg whites to the chocolate batter. Use a spatula and mix them well. Refrigerate for 4 hours. In a serving glass share the stewed cherries. On top, place the chocolate mousse and serve immediately. 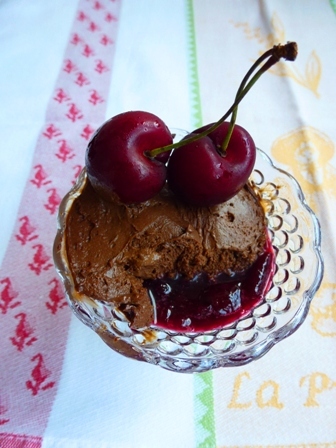 You are currently reading Stewed cherry with chocolate mousse at Aegeaneating.